I installed a Pinsound+ board into my Lord of the Rings (Stern Whitestar). It worked a few times, but now the game will boot and look like it freezes. The MPU activity light on the Pinsound+ MPU daughter card is solid red. Any advice on how to troubleshoot or fix this? The whitestar daughter board led should always be blinking. I suspect the daughter board is either damaged or not properly inserted, check also the CPU chip on the top of it. WARNING: take double care of the pin, they will break if bent. Sega/White Star - pinsound coming? 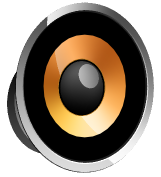 [PinSound 1] PinSound board reboots after working for a while.